What’s on Your Home Improvement Wish List? Blue Sky BuildersSkywriters Garage BlogSpring ReplacementWhat’s on Your Home Improvement Wish List? Thanks to the annual “Cost vs. Value” Report, provided by Remodeling Magazine, we share with you a few of the things that you can add to your wish list that will improve the value. One of the easiest things you can do that will recoup its value nearly completely for homebuyers is that of replacing your entry door. Steel doors are durable and available with many different designs and colors. Homeowners could even elect to build sidelights or insets. With the garage taking up a large portion of the front of the house, a garage door replacement is definitely considered a high-value addition in many ways. If your garage door is starting to show weather or dents, not only would a replacement garage door improve the monetary value, but the beauty of your home. 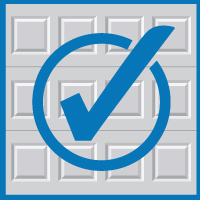 A midrange garage door replacement is defined as: New door is uninsulated, single-layer, embossed steel with two coats of baked-on paint, galvanized steel hinges, and nylon rollers; 10-year limited warranty. New door is high tensile strength steel with two coats of factory-applied paint and foam insulated to minimum R-12 with thermal seals between pinch-resistant panels. Windows in top panel are ½-inch insulated glass. Hardware includes galvanized steel hinges and ball-bearing urethane rollers. Lifetime warranty. So, a garage door replacement is definitely a good investment to add to the list of home improvement projects next year. Another decent investment—even if just for additional storage and car maintenance—is the addition of a garage to your property. Adding a new garage will help to protect property not covered as part of a home improvement project. With hailstorms hitting the region, the savings on insurance claims are an important consideration when looking at a new garage. If you’re looking for additional storage and a more durable garage, the upscale addition includes an epoxy floor, cabinetry, and completely sealed perimeters. So, we must ask, what’s on your wish list? For the full cost vs. value report, please head to the Remodeling Magazine website. If you’re looking to add value through new windows, new doors, a new garage, or a new garage door; contact us to be one of our first spring projects.